Product - Great Value Fully Cooked Naturally Hickory Smoked Bacon, 2.1 Oz. 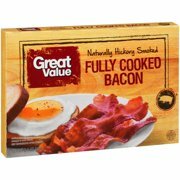 Great Value Fully Cooked Naturally Hickory Smoked Bacon, 2.1 Oz. 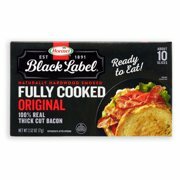 Product - Hormel Black Label Fully Cooked Bacon, 2.5 Oz. Hormel Black Label Fully Cooked Bacon, 2.5 Oz. Product - Jennie-O Turkey Bacon, 12 Oz. 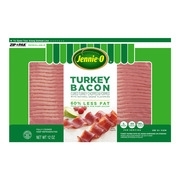 Jennie-O Turkey Bacon, 12 Oz. 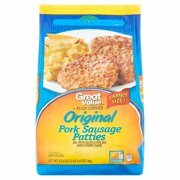 Product - Jimmy Dean Fully Cooked Meat Lovers Crumbles, 8 Oz. 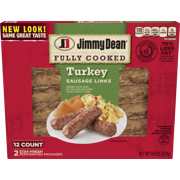 Jimmy Dean Fully Cooked Meat Lovers Crumbles, 8 Oz. 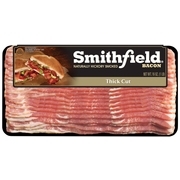 Product - Smithfield Naturally Applewood Smoked Bacon, Thick Cut, Ready to Cook, Made with Sea Salt, 24 oz. Smithfield Naturally Applewood Smoked Bacon, Thick Cut, Ready to Cook, Made with Sea Salt, 24 oz. 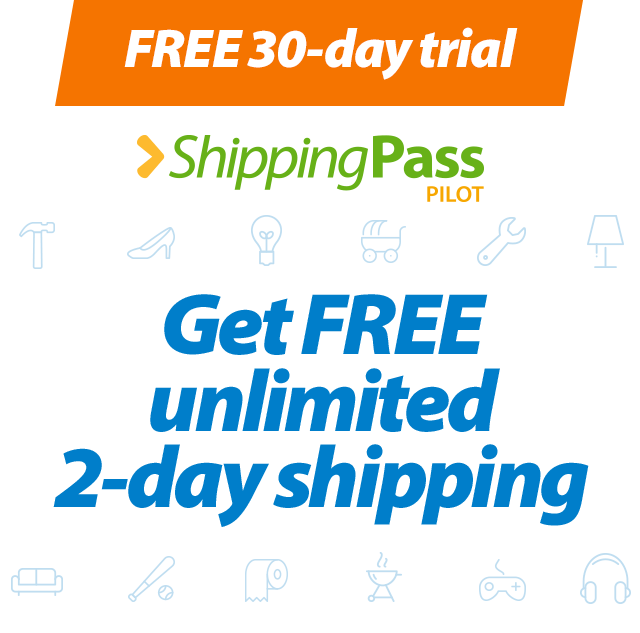 Product - Sam's Choice Fully Cooked Uncured Turkey Bacon, 3 Oz. Sam's Choice Fully Cooked Uncured Turkey Bacon, 3 Oz. Product - Farmland Thick-Cut Naturally Applewood Smoked Fully Cooked Bacon, 2.1 Oz. Farmland Thick-Cut Naturally Applewood Smoked Fully Cooked Bacon, 2.1 Oz. Product - Sugardale Ready Bacon Applewood Smoked Fully Cooked Bacon, 6.3 Oz. 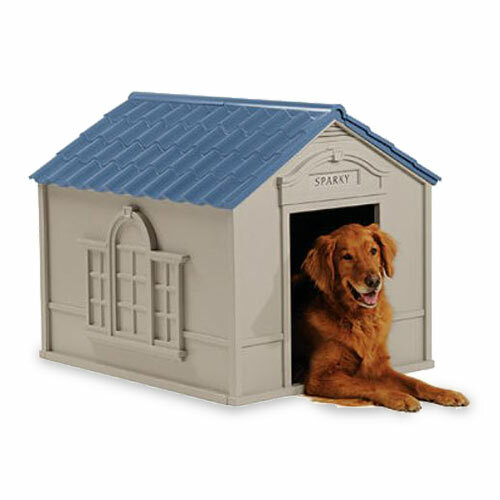 Sugardale Ready Bacon Applewood Smoked Fully Cooked Bacon, 6.3 Oz. 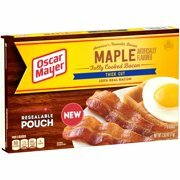 Product - Oscar Mayer Fully Cooked Thick Cut Maple Bacon, 2.5 Oz. 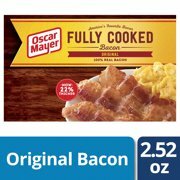 Oscar Mayer Fully Cooked Thick Cut Maple Bacon, 2.5 Oz. Product - Smoke Bar Ranch Smoked Beef Bacon, 10 Oz. Smoke Bar Ranch Smoked Beef Bacon, 10 Oz. 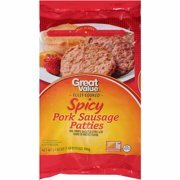 Product - Bryan Fully Cooked Beef Smoked Sausage, 12 Oz. 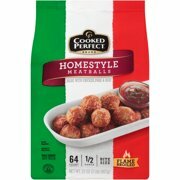 Bryan Fully Cooked Beef Smoked Sausage, 12 Oz. Product - Thoma Fully Cooked Smoked Garlic Ring Bologna, 17 Oz. Thoma Fully Cooked Smoked Garlic Ring Bologna, 17 Oz. Product - Thoma Fully Cooked Smoked Ring Bologna with Cheese, 17 Oz. Thoma Fully Cooked Smoked Ring Bologna with Cheese, 17 Oz. Product - Williams Fully Cooked Bacon, 2.2 Oz. 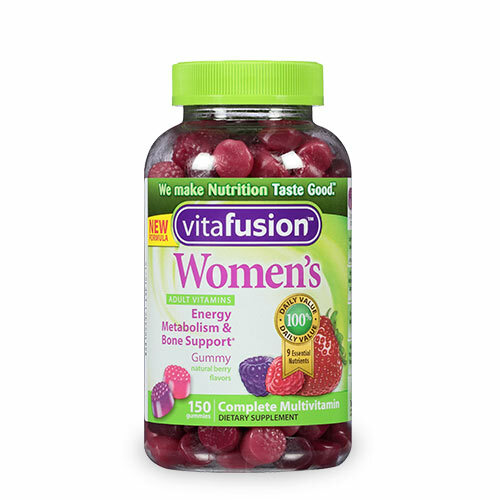 Williams Fully Cooked Bacon, 2.2 Oz. Product - Farmland Thick Cut Naturally Hickory Smoked Fully Cooked Bacon, 2.1 Oz. Farmland Thick Cut Naturally Hickory Smoked Fully Cooked Bacon, 2.1 Oz.